Thursday, February 7, 2019 - Interior Cabinet Secretary, Fred Matiang’i, held his first full Cabinet Secretary as the Chief Minister on Tuesday. 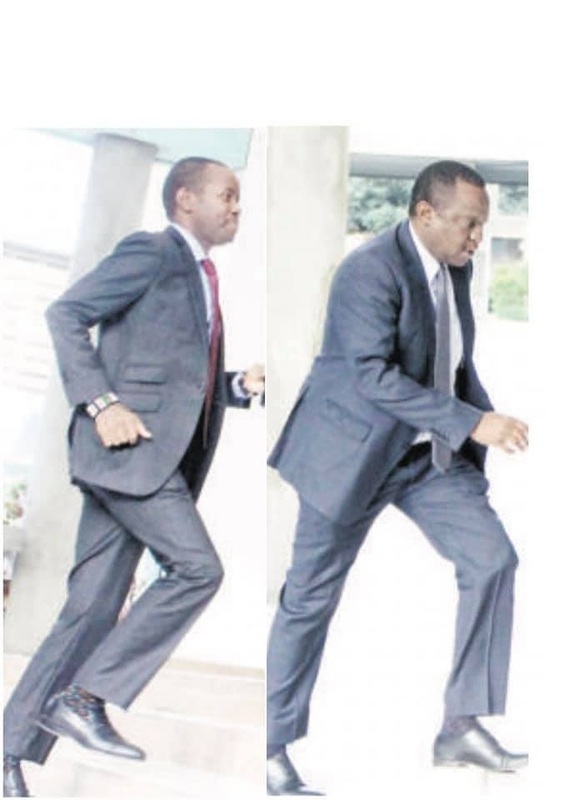 The Cabinet Secretaries were seen running like nursery school kids as they rushed to Matiang’i’s office to avoid arriving late. The Kenyan DAILY POST has learnt that Matiang’i lectured the CSs and warned them of dire consequences if they are caught in corruption. He told them to ensure that the tendering process is open and further warned them against working with rogue contractors to squander public money. Here’s a video showing how the CSs arrived at Matiangi’s office.